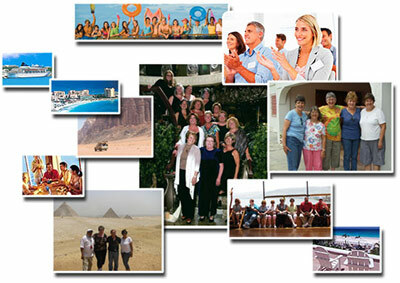 Teaming up with a professional travel agent makes sense when planning group travel. We research all potential suppliers (airlines, hotels, car rental companies, cruise lines, etc.) to provide your group with discounts, upgrades and special amenities. When buying travel, finding the right fit can make or break your experience. What type of vacation is right for your group? A Cruise? Land based Vacation? Motorcoach Tour? Are you looking for a particular level of comfort or luxury? How much activity do you want? We will consult with you about your travel needs and expectations.Contact us today for a competitive proposal and to help you plan your group trip. Complimentary event at your location to announce the trip and allow participants to ask questions, see video, etc. Minimum of 10 passengers travelling on the same dates and air schedule. May allow you to secure special airfares, reduced terms (deposit and final payment schedule), ability to change names. Terms vary with itinerary and airline. Typically earn (1) free roundtrip ticket for every 40 purchased. Minimum of 15 people, 8 cabins. 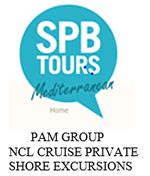 Receive group rates saving 10 – 30% off individual travel rates, qualify for special value added amenities (such as onboard credits, free photo, complimentary upgrades, complimentary onboard meeting space and more!). Discounts and amenities vary with cruise line, sailing date and destination. Typically earn (1) free cruise only berth based on double occupancy for every 15 full fare paying passengers. Ask about special sailing dates offering 1 free for 8, 1 free for 10 or 1 free for 12. Minimum of 25 people traveling on the same motorcoach. Receive group rates, special check in procedures at hotels and attractions. Typically earn (1) free trip including transporation for every 30 – 40 passengers. Minimum of 10 rooms at one hotel/resort. Qualify for group rates, special check in procedures, welcome receptions, etc. We offer full service group planning at hotels including meeting set up, banquets, catering and seminars. Typically earn (1) free room for every 25 booked or upgrade considerations for the group leader.